Katy Perry won a Grammy award last night so the current buzz around her name is expected. 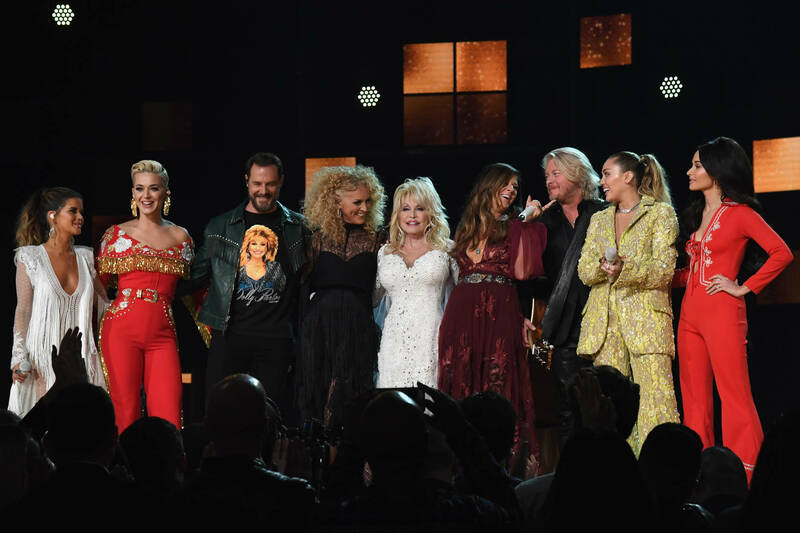 The "Thinking of You" singer was part of the Dolly Parton tribute performance, alongside Kacey Musgraves and the country icon herself. Both of these achievements call for celebration, but the buzz has been tainted with a lot of criticism due to her part in the tribute. Reactions to the anticipated number are available below. Apparently, many Dolly fans thought Perry's inclusion was unwarranted and they would have preferred to see another artist in her place. The disappointment did not stop at the selection, however. Perry was also accused of trying to upstage the living legend while they shared the stage. Her vocals were undeniably bold, as she tried some vocal gymnastics, but the accusations might be born out of simple dislike rather than evidence of disrespect. View the clip below and see how it went down. This represents another instance of Grammy organizers failing to understand what (some) fans want to see and hear. Still, they pulled through with the participation of Miley Cyrus, whose covers of Parton's "Jolene" was well received, Maren Morris and Little Big Town. They closed the show, ended the tribute on a high note.